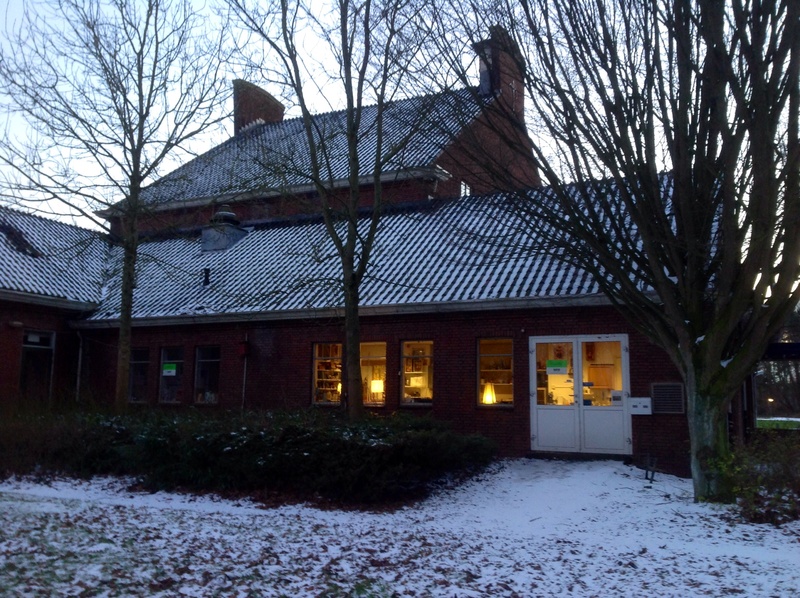 The picture shows my studio covered in snow in the lovely park Schakenbosch. It is a former mental hospital at the border of Leidschendam. I started making collages at home. Then I felt the need of doing something different. I bought some old tools and began to make assemblages at home. The room was covered with dust most of the time and when I ruined my table I knew it was time to rent a studio. I started in 2013 in an old classroom in Leiderdorp, on the border of hometown Leiden and in 2014 I had to leave and moved to Leidschendam. That’s what you see on the picture. The studio is an anti-squad place so you never know for how long you’re there. Till so far I had exhibitions in for instance Leiden, The Hague, Rotterdam and Utrecht and you can find me at art markets. My work got selected for the Kunstwerkt exhibition in Muzee Oostende in Belgium in 2014 and the Zomerexpo in Haags Gemeentemuseum in The Haque in The Netherlands. If you are interested you can contact me with the help of this blog or email henkhannemann@yahoo.nl or phone 0031612222263. New studio since the first of May 2016 in Hazerswoude-Rijndijk. Since the first of May 2016 I have a new studio in Hazerswoude-Rijndijk. Since 2013 there were exhibitions in Leiden, Leidschendam, Rotterdam, Utrecht, The Hague, Amsterdam, Ede and Oostende. You can also find me on art markets in the surrounding of Leiden-Holland. 2014 Finalist Collage14 Kunstwerkt in Belgium and exposition of my work in Mu.Zee in Oostende-Belgium. 2015 Selected for the Zomerexpo in Haags Gemeentemuseum The Hague. 2016 Accepted as member of Ars Aemula Naturae in Leiden. 2017 Selected in Stedelijk Museum Schiedam for the Salon des Réfuses. Hallo Hetty, ja, en er komt steeds meer werk bij. Je kan zelfs een melding krijgen wanneer er nieuw werk verschijnt. Tot ziens.